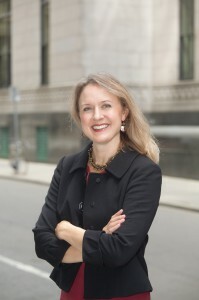 In her capacity as Director of the Innocence Program, Ms. Kavanaugh evaluates and litigates potentially meritorious Massachusetts innocence claims and provides litigation support and oversight of funding for the investigation and expert resources needed to successfully litigate these claims. She is also actively involved in developing statewide training programs on forensic evidence. In 2013, she formed a Working Group of criminal justice leaders that is focused on improving access to post-conviction DNA analysis and secured federal funding to support this work. Ms. Kavanaugh first joined CPCS in 2002 as a staff attorney in the Somerville Superior Court trial unit. From 2007-2009, she worked in the Appeals Unit and litigated numerous felony appeals. She is a 1996 graduate of Yale University and a 2000 graduate of Harvard Law School. From 2000-2002, she served as a Prettyman Clinical Teaching Fellow with the Criminal Justice Clinic at Georgetown University Law Center. A frequent lecturer at MCLE and CPCS training programs, she has also served as an Adjunct Professor with the Innocence Clinic at Boston College Law School and a Visiting Lecturer on Law at Harvard Law School. She presently serves on the Supreme Judicial Court Standing Committee on Eyewitness Identification and the Board of the national Innocence Network and its Ethics & Best Practices and Membership Committees. Ira Gant reviews and litigates innocence claims in Massachusetts trial and appellate courts and supervises, advises, and trains attorneys handling state innocence cases. He is also the Innocence Program’s liaison for a federally funded Working Group of Massachusetts criminal justice stakeholders that aims to improve tracking and storage of evidence collected in criminal cases. Mr. Gant first joined CPCS in 2010, as a trial attorney in the Public Defender Division. He later served a rotation with CPCS’s Alternative Commitment Unit, representing those individuals the state sought to incarcerate to life sentences through civil commitment laws. A frequent lecturer on issues including post-conviction DNA testing, cognitive bias, and public records, he presently sits on the Innocence Network’s Amicus Committee and Complex DNA Working Group. Mr. Gant graduated from Northeastern University School of Law and the University of North Carolina. As the Innocence Program Support Specialist, Kristen Gondim oversees the workflow of intakes, screenings, and assignments and assists with preliminary case review of new applications for assistance. She serves as the liaison between IP staff, applicants, clients, panel attorneys, investigators, and other program partners and manages data collection for grant progress reports. The Innocence Program currently has two full time post-graduate legal fellows, Nicole Baker, nba...@publiccounsel.net, a 2017 graduate of Boston University Law School, and Brian Pilchik, bpil...@publiccounsel.net a 2017 graduate of Harvard Law School.